Get up close and personal as warring civilizations clash. Witness the bloody brutality of the battlefield as history’s most iconic warriors come face to face. Choose between the agile Chosen, the brutal Warborn or the brave knights of The Legions and fight for land and glory. Combine cunning, strategy and team play with brutal hand-to-hand melee combat to bring your enemies to their knees. 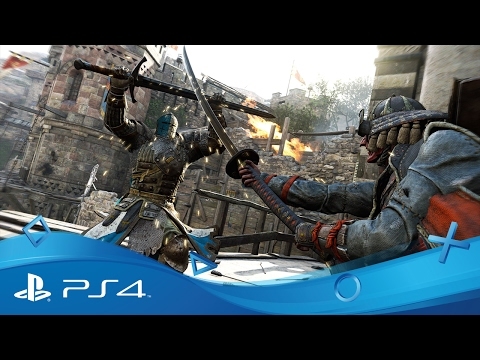 The “Art of Battle”, For Honor’s innovative control system lets you wield the weight of your weapon and puts you in total control of every blow. Customize your characters to create your own warrior image. Weapons and armour are fully customizable with almost limitless combinations. A time of peace and healing - of fragile truce between warring nations - is about to be shattered. 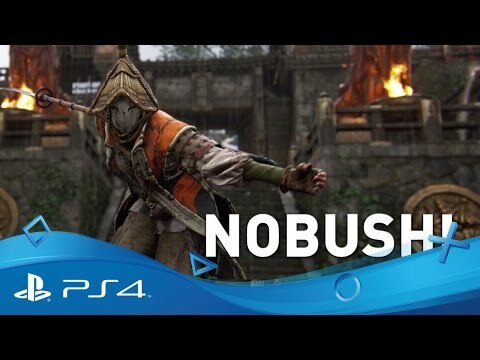 Meet the mysterious and deadly Nobushi Samurai warrior class. Meet the aggressive and lethal Oni Samurai Warriors. Master a unique combat system designed to put you in full control of every, swing, block, jab and parry. For Honor's 'Art of Battle' system not only allows you to deal damage and dodge incoming blows, it also weights each individual action based on your footing, determining your ability to counter incoming attacks, exploit openings or sidestep an incoming blow. Every face-off will be a test not just of raw strength, but of skill, attention and timing, making every move decisive. Get your greasy gauntlets on the Legacy Battlepack, featuring three exclusive hero outfits - one for each warring faction - along with exclusive, day-one content included in the Deluxe Pack. All these extras will be unlocked from the minute you load-up along with a full standard copy of the game. Get the ultimate taste of all-out medieval combat with the For Honor Gold Edition. 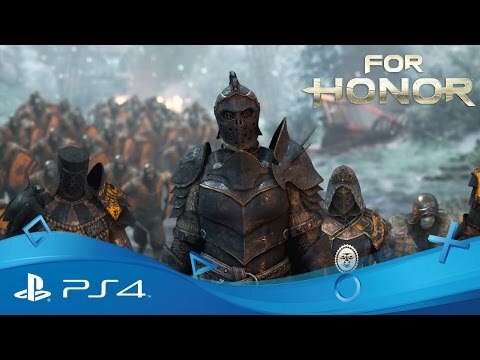 Not only does this edition include the Legacy Battlepack - with three exclusive outfits - and the day-one Deluxe pack, you'll also get the For Honor season pass. The season pass will give access to new content and add-ons due to be released throughout the coming year. Draw swords with your closest allies in online play and cut down your enemies side-by-side - PlayStation Plus is all you need. Drawn to the rush of combat?